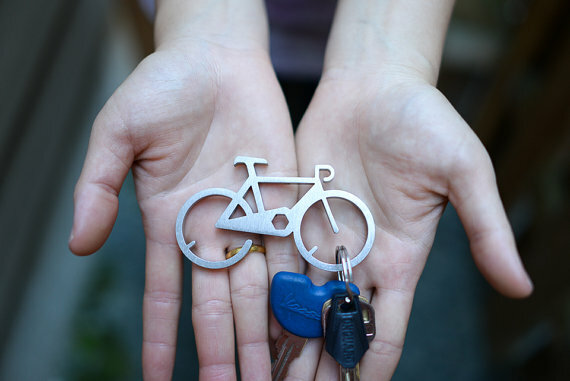 Other comments: Even if this was just a keychain that looked like a bike, I would like it. However, it is so much more. Ever since I started biking I’ve used a carribeaner on my keys. However, the springiness (maybe not a real word) wears out and I end up losing keys along the way. I love that this is a design that is easy to clip on whatever you’re wearing. Best of all it is a bike tool! I need this keychain, I love it. It’s simple, funky, bikey, and, functional.